On Monday, Eric decided it was time to take a look around. His eyes have opened and he seems to notice our movements next to the incubator. It is hard to tell what color they are but they are dark — either dark blue or brown. We visited him again last night and they have switched him back to the CPAP which is a bigger breathing device that provides positive pressure of air in his lungs. They did this because he was having too many “episodes” of breathing apnea. 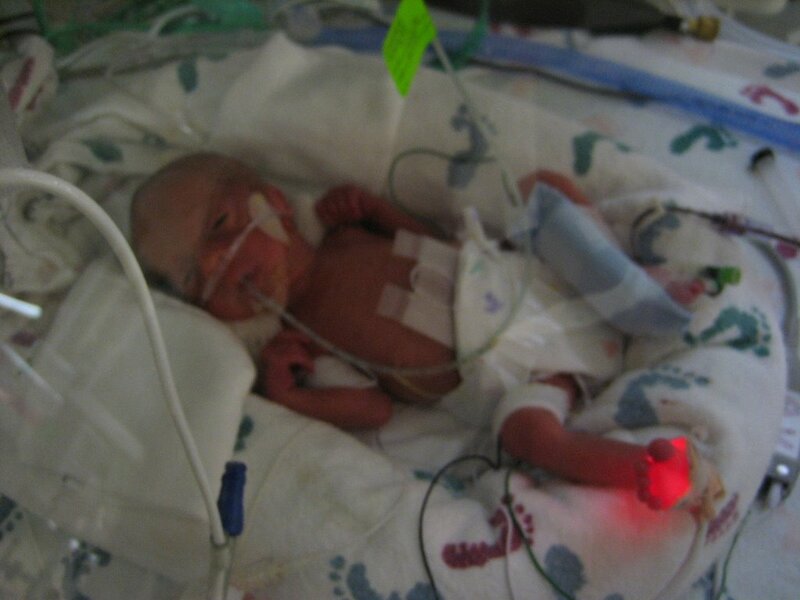 Sometimes a preemie “forgets” to breathe. When this happens the alarms go off and the nurse gently massages him until he breathes again. This was happening too often so they had to switch the breathing apparatus. He also got some blood from the Blood Bank yesterday because a preemie doesn’t make new blood quickly and they take several blood samples each day. So he was a little low and received 12 ml of blood. They say it will help reduce the apnea because he’ll have more blood and more oxygen. Eric is under contstant monitoring and each NICU nurse on duty is responsible for only one baby. 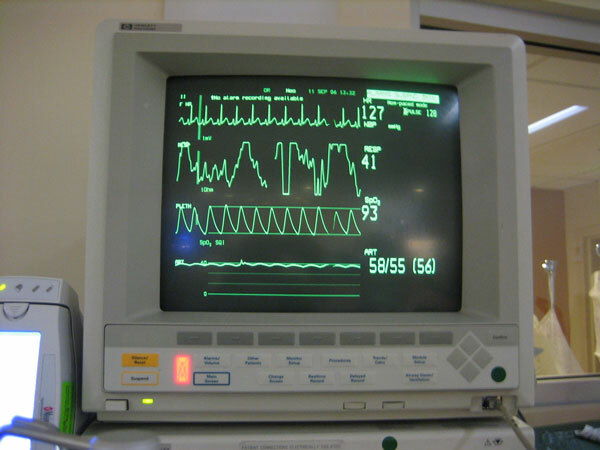 He has probes which measure his heart rate, breathing rate, blood O2 levels, temperature and blood pressure. Yesterday they also put in a new IV line which is a “central line”. Through this new line they have begun to give him special electrolyte solutions and other nurishment. 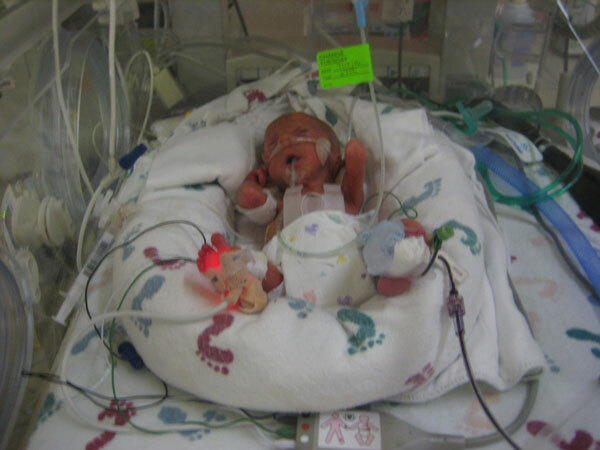 He also had a cardiogram which showed that the little hole in the heart that all babies are born with is closing normally, and he had a brain scan which showed nothing abnormal and no bleeding in the brain. In all, he continues to make progress. I am Tara DelloIacono Thies, nutrition strategist + dietitian and active lifestyle nutrition expert. I founded Summit Nutrition Strategy to help more people achieve big goals. A pioneering strategist with twenty years of experience, I combine my knowledge of science with my unique experience as a marketer and endurance athlete to help lifestyle organizations and companies deliver value and service to their audiences. I also working directly with athletes at every level, advocating for food as a tool to reach big goals. Ⓒ 2018 Summit Nutrition Strategy. All rights reserved.